Coffee enthusiasts often have to sacrifice quality for convenience or convenience for quality. 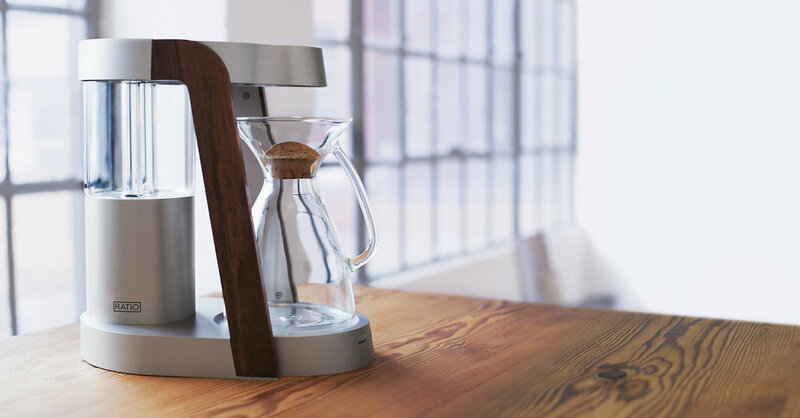 The Ratio Eight coffee maker was designed to give coffee drinkers a superior brew with push button convenience. The Ratio Eight’s automatic pour over produces a perfect cup ever time without the complicated brewing regime many enthusiasts are used to. Founder Mark Hellweg turned to Traverse to create Ratio’s online presence and manage to community around it. As a startup with many bumps in the road, a focus on community management was important. Traverse expanded Ratio’s world beyond their single product to include the people, inspiration, and lifestyle of high end coffee drinkers. This positioned Ratio as an aspirational lifestyle product in addition to a coffee machine. All channels were monitored closely and customer service inquiries were handled quickly and discretely to maintain Ratio’s premium position in the marketplace as it found its way through early production difficulties. With Ratio’s foothold in the coffee world established with the help of Traverse, Ratio’s audience has grown beyond 13,000 followers.